This kit is a craft project for adults and children to do together. 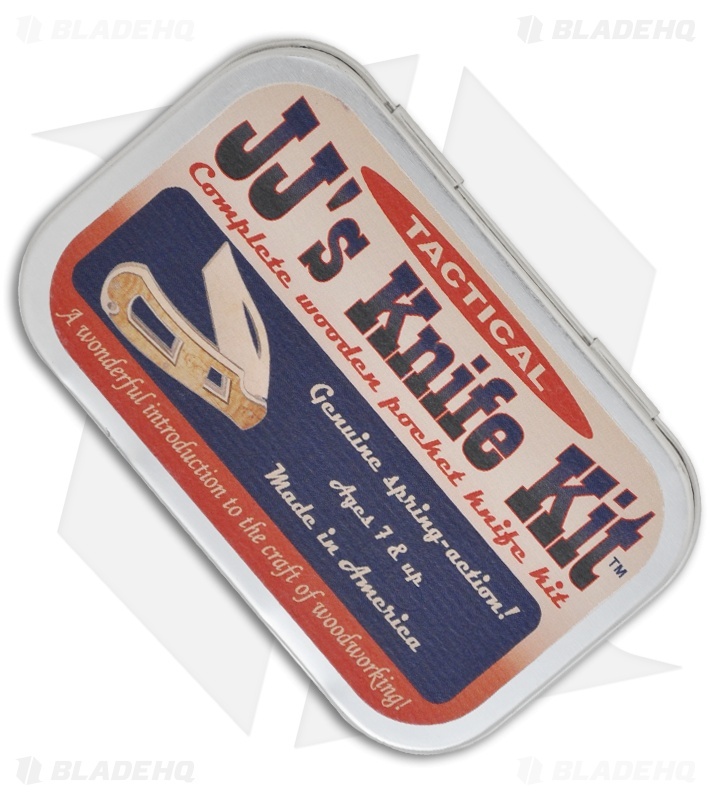 Kit contains small parts. Adult supervision is required. Not recommended for children under 7 years old. 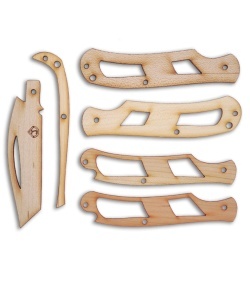 Includes all parts and instructions needed to make a wooden pocket knife. All you need to supply is sandpaper, glue and a few basic tools. The included blades are unsharpened and the point is rounded. The components for each kit are cut from American hardwoods. 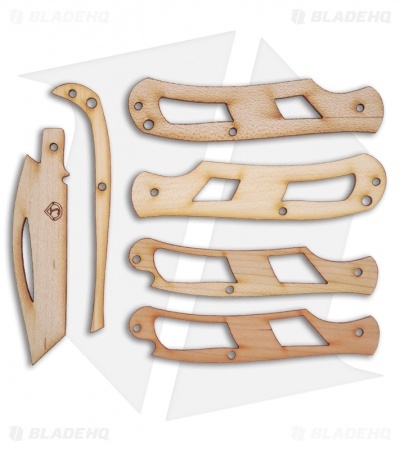 Contains 6 pieces of wood (4 Maple and 2 Cherry), 3 metal pins, and complete instructions. Comes in a gift tin!